My 10 year old daughter is a big iPad user. Shocker eh? 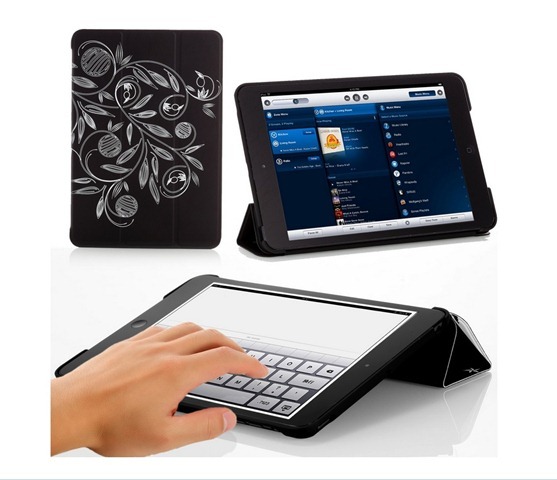 She has her own iPad mini and gets great use out of it for everything from educational apps to music and games. She’s interested in tons of subjects, but art, fashion, and design are near the top of her favorites. She always takes a big interest in iPad cases that I have for review, and it’s clear very quickly when she takes a shine to one of them. That’s what happened when I was using and reviewing the Poetic Covermate iPad mini case, and I ended up handing it down to her once I had written my review. 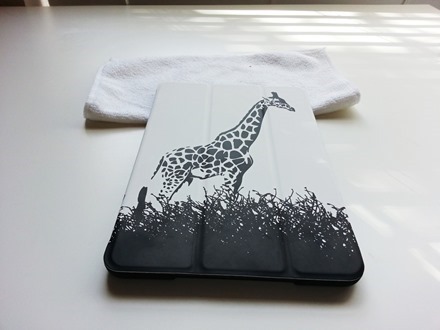 So when I saw the new animal-themed Poetic cases for the iPad mini, and in particular the Giraffe case, I knew she would love it. I ordered one via Amazon and it just arrived a few days ago. She is very happy with it, and I think it looks great too. 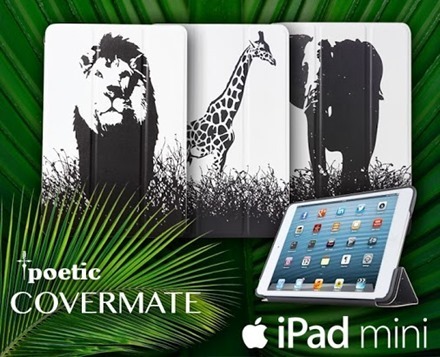 If you’re looking for stylish iPad mini cases at very reasonable prices, it’s well worth giving Poetic a look. 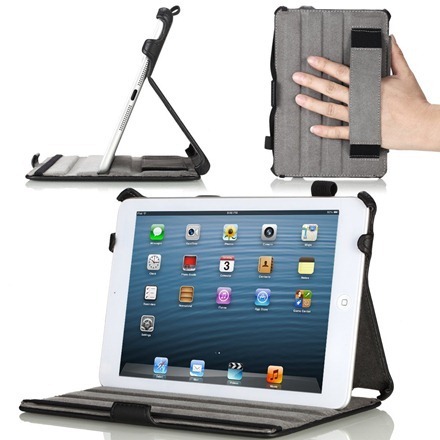 X-Doria have announced a new collection of iPad mini cases, available exclusively in Target and via target.com. Featuring three Target exclusive designs including the SmartStyle in Pink Herringbone and Orange Bulbs and Dash Folio Cabernet, these cases provide an aesthetically pleasing and functional design, while keeping your device protected at all times. Along with these fashionable designs for Target, the retailer will also carry a wide array of X-Doria colors and styles in the Smartstyle, SmartJacket and Dash Folio Lines. All these cases support the iPad mini’s automatic sleep/wake feature and can serve as a stand as nearly all cases of this type can. They’re priced at $39.99 each. I don’t feel wowed by any of these designs, but I suppose if Target is your favorite shopping spot then you may want to take a look at these new options for protecting your iPad mini. What do you all think of these? Will you be rushing to a Target store or online site to pick one up? 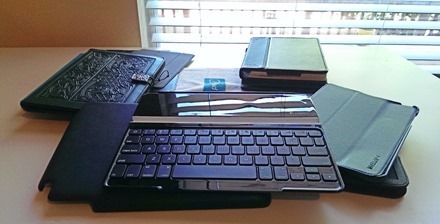 As some of you may recall, last year I did a review of the Moko Slim Fit Case for the iPad 3 – and was quite impressed with the low-priced folio case. Because of that good impression I ordered a Moko Slim Fit Case for iPad mini as soon as I noticed they were available – hoping it would be just as good as its big brother. I’ve had the case for several weeks now, used it a lot, and can now share some thoughts on it. 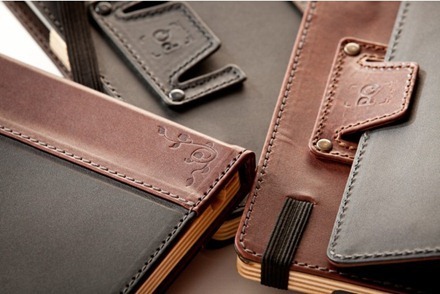 The Moko Slim Fit for the iPad mini is a folio style case, similar to the Marware C.E.O. Hybrid for iPad mini – but with a few notable differences which I’ll mention below. Automatically wake/put to sleep Your iPad Mini. Acess to all feature and control (speakers not blocked). Premium PU leather exterior and microfiber interior. Built-in stand with multiple angles for typing and viewing. Built-in hand strap improves one-handed reading/viewing. Rubber band to hold the front cover open. 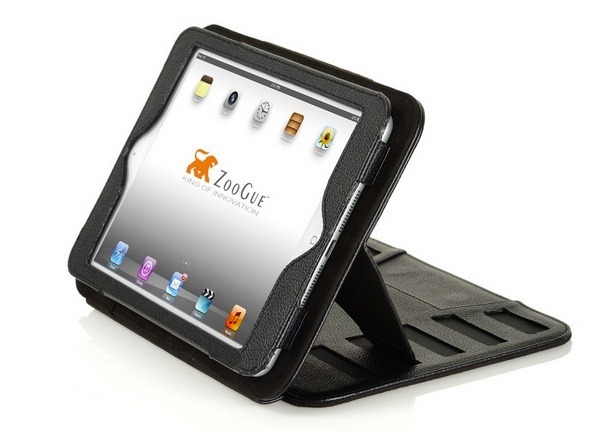 Padded front cover and plastic hardback offer enhanced protection, at front, back, and all CORNERS. It comes in a range of colors: black, blue, green, magenta, orange, purple, red, white, carbon fiber black, and genuine leather black. Oddly, the standard black case goes for $9.99 – while all the others colors are priced between $17.99 and $24.99. I didn’t actually notice that until I was writing this post – I ordered the standard black one just because I like that color choice best for this case. The Marware C.E.O Hybrid iPad mini Case is an iPad mini version of this popular iPad case that has served previous generations of the iPad well. 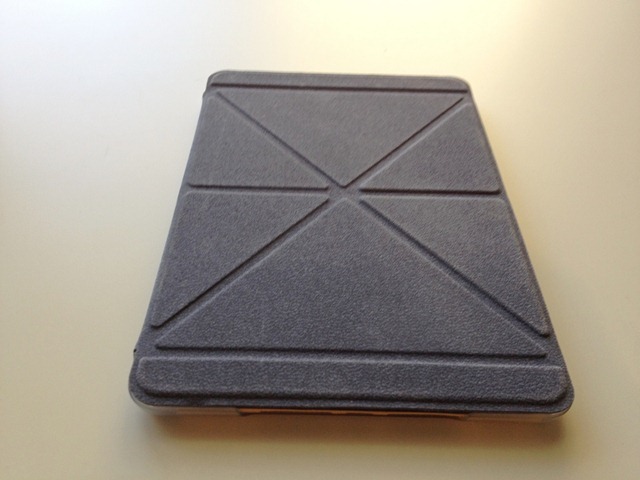 I have reviewed a couple of generations of this case for the bigger iPad as well as other Marware iPad cases. The CEO Hybrid is made of genuine leather, with a soft microfiber material used on the interior. It’s a folio style case that offers good coverage of front, back, and sides of the iPad – ‘97% of the device’ and durable, reinforced protection for corners according to Marware. 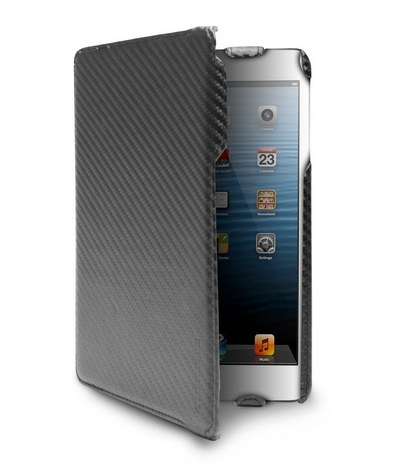 The case is priced at $42.99 and comes in four colors: Carbon Fiber, Black, Pink, and Purple. I have the Carbon Fiber model.